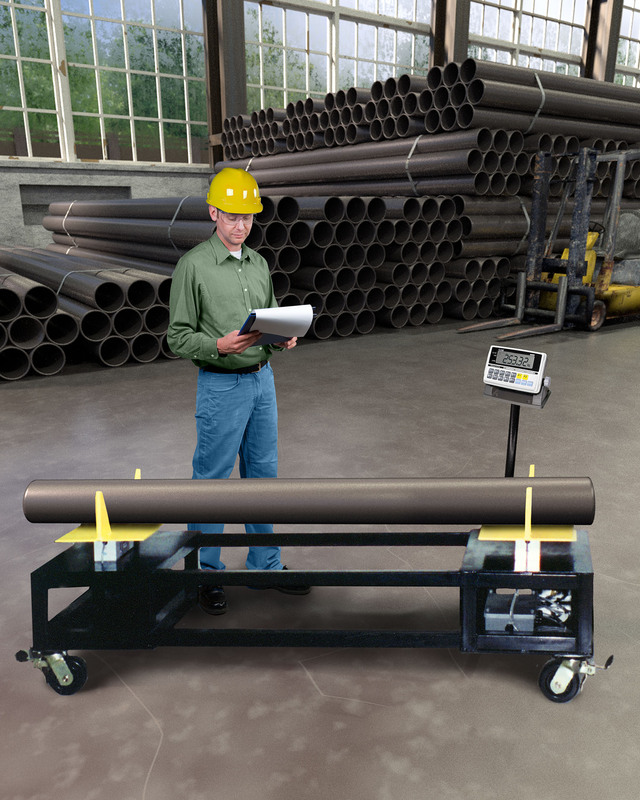 Custom manufactured portable rack scales for weighing pipe or bar stock up to 12,000 lbs. inside a facility or at a construction site and accumulating the data are available from Alliance Scale, Inc. of Canton, Massachusetts. Alliance Portable Rack Scales feature a rugged steel frame, pipe carriages, locking wheels and casters, and are equipped with a CAS CI-201A weighing indicator with a full keypad, an LCD display, and accumulation counting. Combining weigh, count, and transport functions, these rack scales can be custom designed and built for weighing pipe or bar stock up to 12,000 lbs. Featuring a 6-digit 1” LCD with 10 numeric-, two function-keys and an RS232 interface, the CAS CI-201A weighing indicator on Alliance Portable Rack Scales provides 0-2 mV/V zero calibration and 2 µV/V input sensitivity with A/D internal resolution of 1/520,000 and A/D external resolution NTEP up to 10,000D, non-commercial up to 30,000D. It operates on 6 VDC battery or AC. Alliance Portable Rack Scales are priced from $3,995.00 up, depending upon configuration. Price quotations are available upon request.